Two weeks ago I tripped at the top of a flight of concrete stairs and ended up unconscious and bleeding from a head wound with my dislocated arm twisted under me. Having just seen the last of the medical specialists I’m ready to talk about it. The head trauma has left me with no memory of the event. Thankfully some members of my amazing family were at hand and they were the ones who went through the worry and long hours of waiting in an overcrowded hospital while I remained unconscious and unaware of the head scans and insertion of 17 stitches. I was discharged but ended up back in hospital a few days when it became obvious that my release had been premature. Further investigation found that nerves had been severed in my forehead. Now, try as I might, my eyebrow doesn’t move. The plastic surgeons operated – re-opening the head wound under general anesthetic and trying to find the ends of the severed nerves to reconnect them. This task was made more difficult due to the passage of several days. They’ve reconnected something and lifted the eyebrow so that it’s more in line with the other but it’s a waiting game now to see if it’ll ever work again. As you’ll see from the picture, when I try to raise my eyes in surprise I end up with a sardonic look instead, as if I’m attempting a Carlo Ancelotti impression. The good news was that the wound was re-stitched by plastic surgeons. When I got the stitches removed a few days ago the nurse oohed and aahed at the neat job they’d done. There’ll be 18 months of healing and then I’m stuck with what remains but, as you’ll notice from the photo, the scar is already a damned sight better. Attention then turned to my arm which hadn’t been looked at initially due, I suppose, to the focus on my potentially life-threatening head wound. I’ve just returned from the consultant, sporting the nice blue cast you can see in the picture to match my jeans. The consultant struggled for a simile to explain what the xrays had revealed. I raised the one eyebrow that I could inquisitively. “Well, that’s what your wrist is like,” he said. It turns out that I’ve pretty much shattered a number of bones – too many to operate on in an attempt to stick them back together with metal pins. What they’ve decided to do, instead, is to let it all set in the cast and then xray it again to see what is healing and what isn’t. With a bit of luck the remaining damage will be manageable. In all my online posts I’ve not spoken about my accident until now as I was waiting to find out the full extent of the damage. 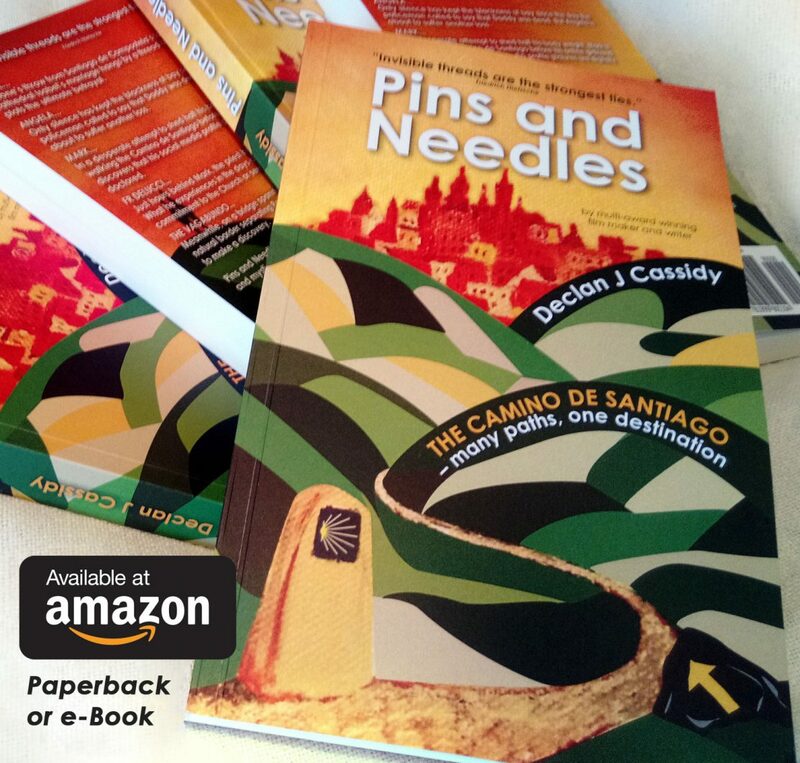 Unable to do much, I’ve concentrated on my new book ‘Pins and Needles’ which I had published just days before everything changed. That has been such a welcome distraction and I’ve been so heartened by the great response from family, friends and strangers. The reason that I’m now ‘going public’ about my recent mishap is to send out a huge thanks to the family and friends who have been there for me since the accident. The head trauma has left me with a tiredness like jet lag and moments of dizziness. I’m typing this slowly and awkwardly with my one good hand but I feel great. I feel so lucky to be alive and even more lucky to be surrounded with people who have proven that they care. Thank you all.